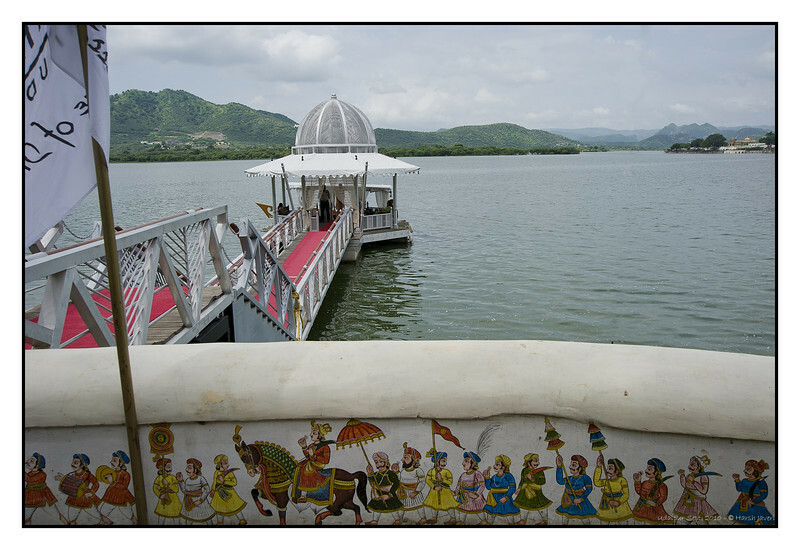 This is another view of the private jetty of hotel Leela Palace and shot on our way back while waiting for the car. On the day we arrived, I did not notice the paintings as we just got out of the car and proceeded towards the jetty! The painting on the parapet shows a parade of the Maharajah - such Frescos are popular in the state of Rajasthan (western India). Fantastic image, perspective and layers of interest! Fabulous view. Lovely composition. the paintings on the wall are wonderful.